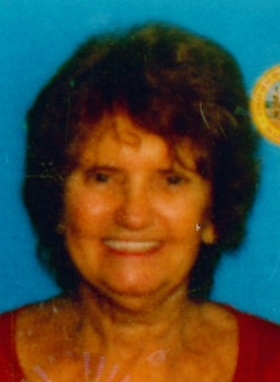 Dunnellon and Formerly of Pembroke, MA- Janice M. Howard, 74, died suddenly on Friday, September 7, 2018 at her residence In Dunnellon. She is survived by her daughters, Diane Kruschke (Robert),Citrus Hills, FL and Tracey Crosby, Hingham, MA; her brother, William Eckland (Lisa), Sarasota, FL; her sisters, Marcia Faherty, Brockton, MA and Ellen Kelley, Bridgewater, MA; her three grandchildren, Savanna, Joshua, Amanda and numerous of nieces and nephews. Janice was born on December 21, 1943 in Boston, MA and was the daughter to the late Arthur G. and Josephine M. McNamara Eckland. During her secretarial career she worked for several different companies in Massachusetts. She lived in Pembroke, MA for many years raising her family with her late husband. In 2004 Janice and her late husband, Richard moved to Pine Ridge, Beverly Hills, FL and in 2012 she made her home in Dunnellon’s Spruce Creek Preserve. Janice was a former member of the Red Hat Society and a parishioner of St. Elizabeth Catholic Church in Citrus Springs, FL. She enjoyed gardening, cooking, tennis and being with her dog Jake. She will be greatly missed by all her family and friends. Janice’s burial will take place on Wednesday, September 12, 2018 at 1:00 PM at the Dunnellon Memorial Gardens where she will be laid to rest next to her husband, Richard.